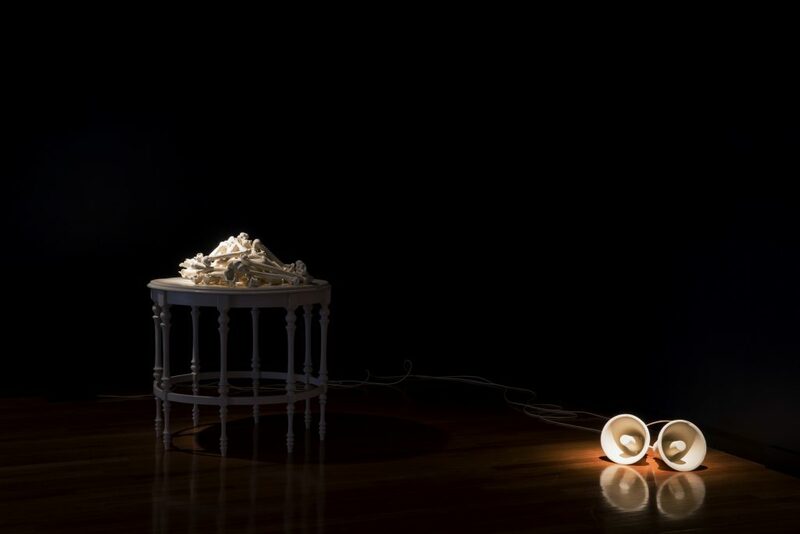 Artists: Zanny Begg, Megan Cope & Bill Buckley, Hayden Fowler, Future Method Studio, Grandeza, Josephine Starrs & Leon Cmielewski and The Wired Lab. 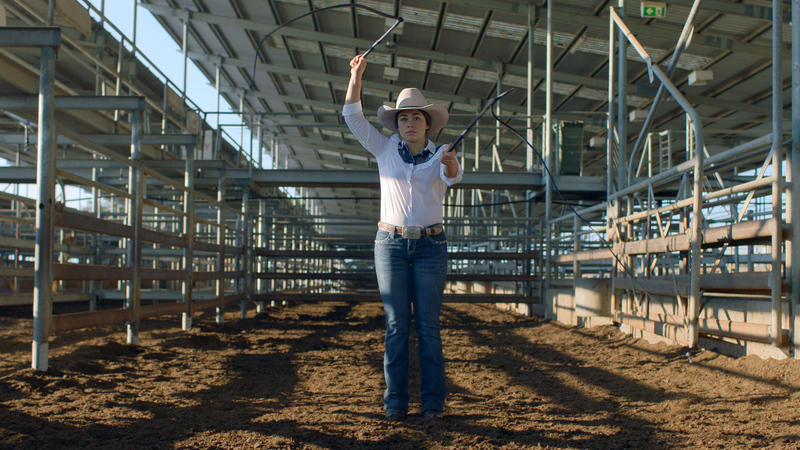 “The Long Paddock” is the colloquial name given to the Travelling Stock Routes of Australia. This nation-wide network of routes and reserves was historically used for droving cattle and sheep across long distances, and they remain today as public or “Crown” lands. Inspired by these trails and their significance as a cultural landscape, The New Landscapes Institute embarked on a creative research project with artists and architects to respond to the TSRs. Through our work we have discovered their multilayered significance. 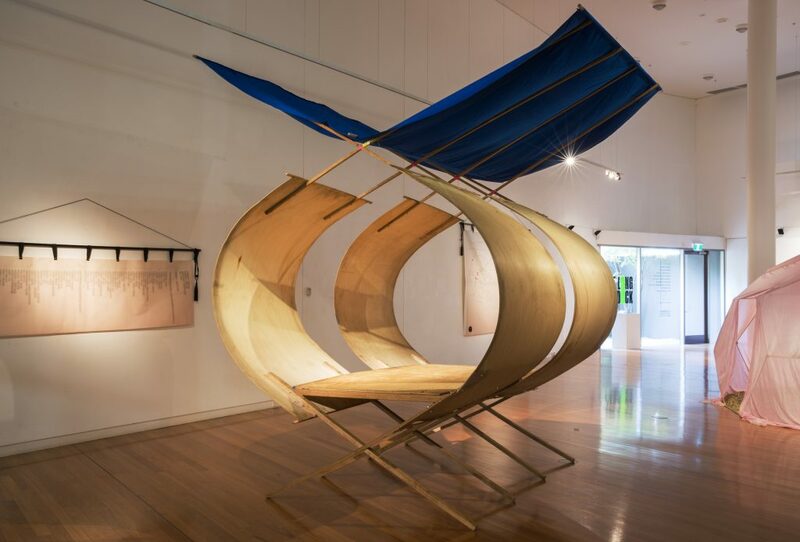 The Long Paddock exhibition presents nine new works which explore the past, present and future of our TSRs. 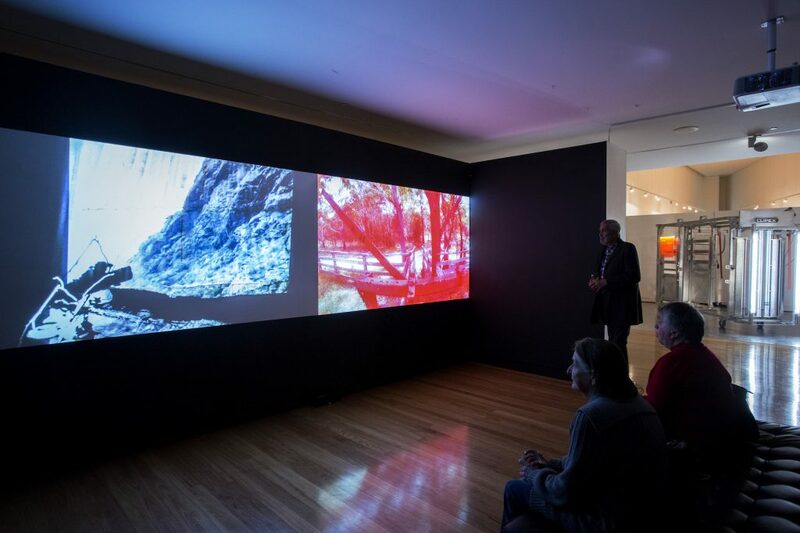 While the exhibition takes place inside the gallery, the exterior landscape permeates the space with audio, visuals and architectural interventions. Alongside the artworks, the architecture collective, Grandeza, have designed a modern take on the traditional Drover’s Plant. Their Plant acts as a mobile archive of conducted research and includes audio recordings, international case studies and maps. 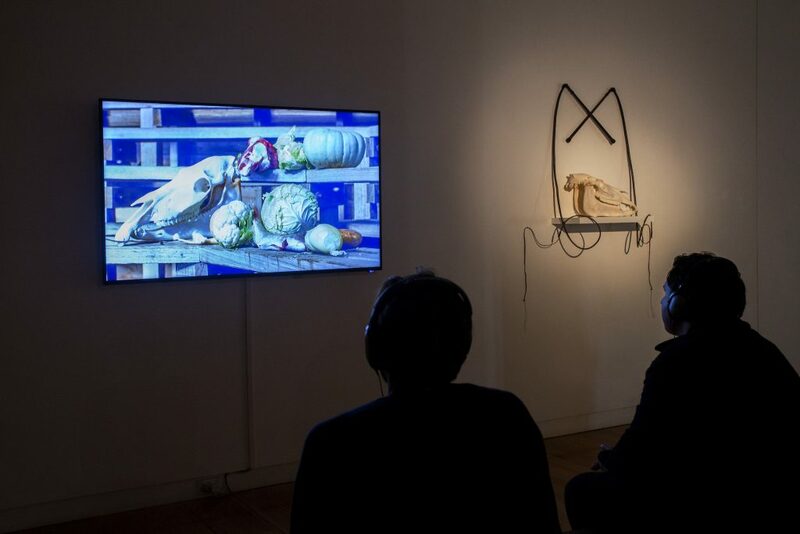 Elements can be taken outside the gallery to facilitate a public program of discussions, talks and workshops. While the TSRs are a uniquely Australian phenomenon, they are located within a worldwide context of disappearing cultural routes and nomadic pastoral practices. Just as in the urban centres of our cities, access to common, shared landscapes are also being extinguished in regional areas, making this a timely and important project. Hayden Fowler, Australia, 2017 . Plaster, polymer, yellow ochre & sound. 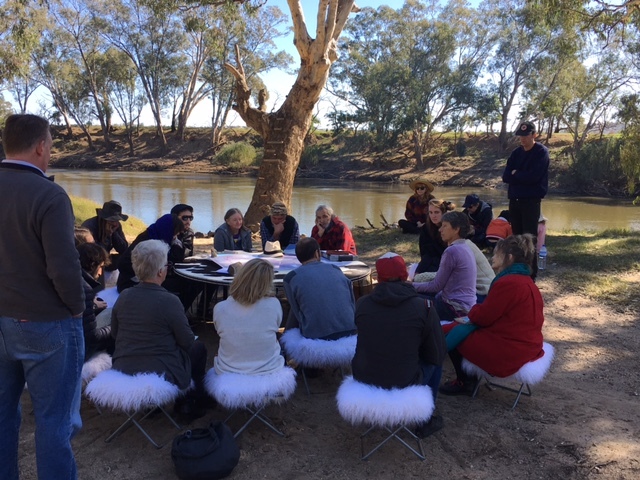 Public Program, ‘Future Acts’ roundtable along the Murrimbidgee, Wagga Wagga , 2017. Opening Drinks and premier of River Run by Starrs and Cmielewski. 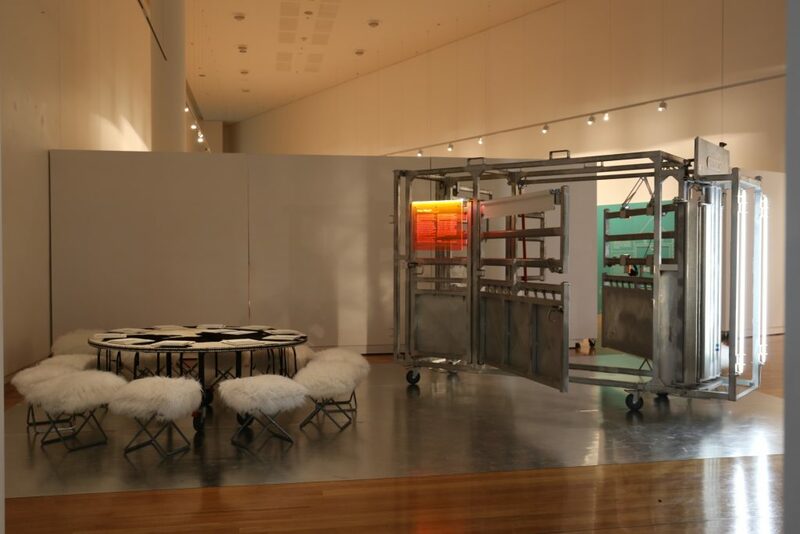 The “Plant” is a modern take on the traditional Drover’s Plant and has been designed to be used inside and outside the gallery. 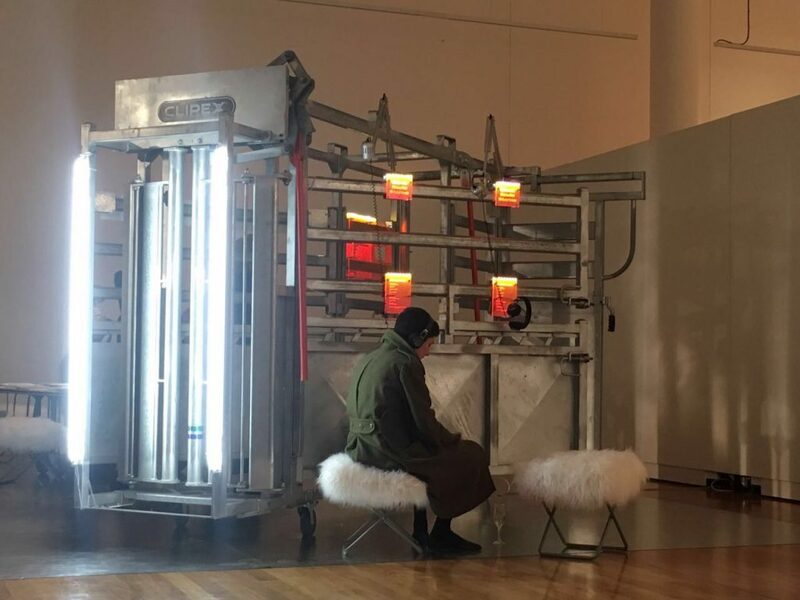 You are invited to get cosy in the cattle crush, grab a pair of headphones and listen to the many stories we have collected about the stock routes today. 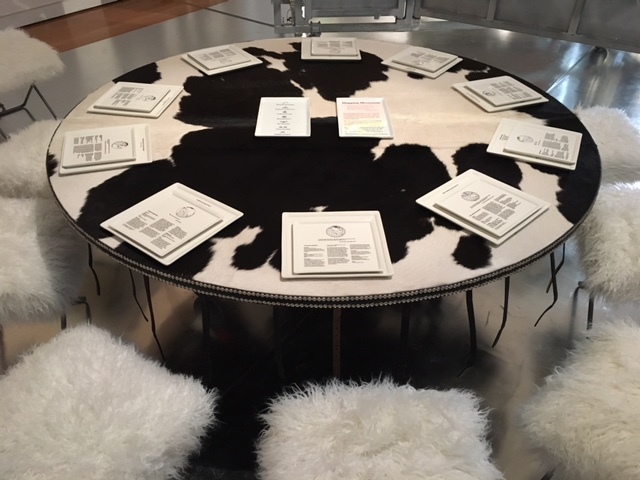 Or pull up a cow-hide chair and read about other stock routes and nomadic pastoralism practices around the world. 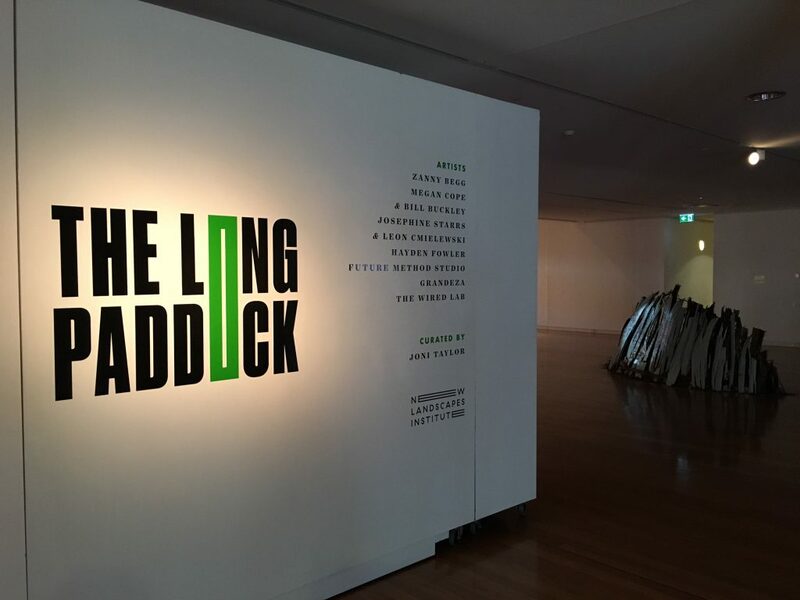 Join the artists and curator as they give a behind-the-scenes look at the inspiration and research that went into The Long Paddock. 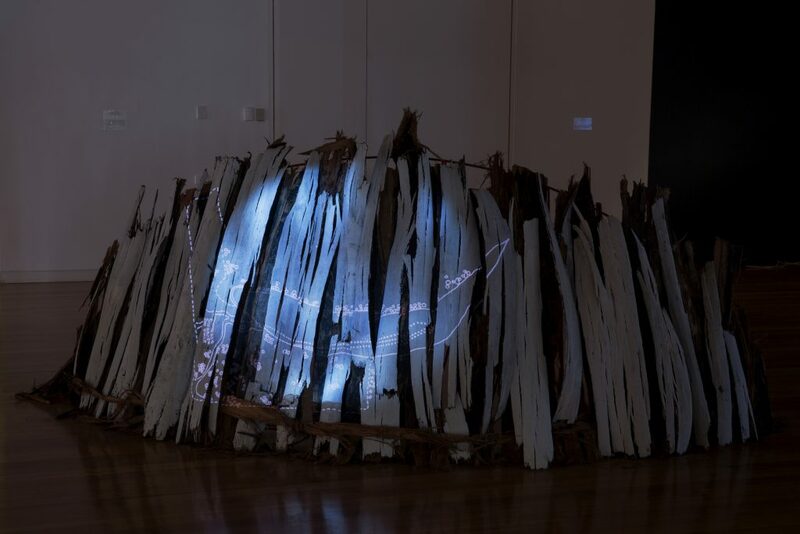 Join Future Method, Wiradjuri elders Lyn Syme & Kevin Williams, Academic Peter Spooner and Lawyer Maeve Parker for a conversation about the spatial politics, origins and futures of the Travelling Stock Reserves. With special whipcracking performance by Emiliqua East. Join a diverse mix of farmers, drovers, artists and guests for a discussion around the social, environment and cultural importance of the TSR ecology today. How can creative community partnerships occur? What role can artists play in shaping our environmental and cultural landscapes? What can you do?